Campaign Overview: When working together, educators and parents can make the best learning environment for every student. 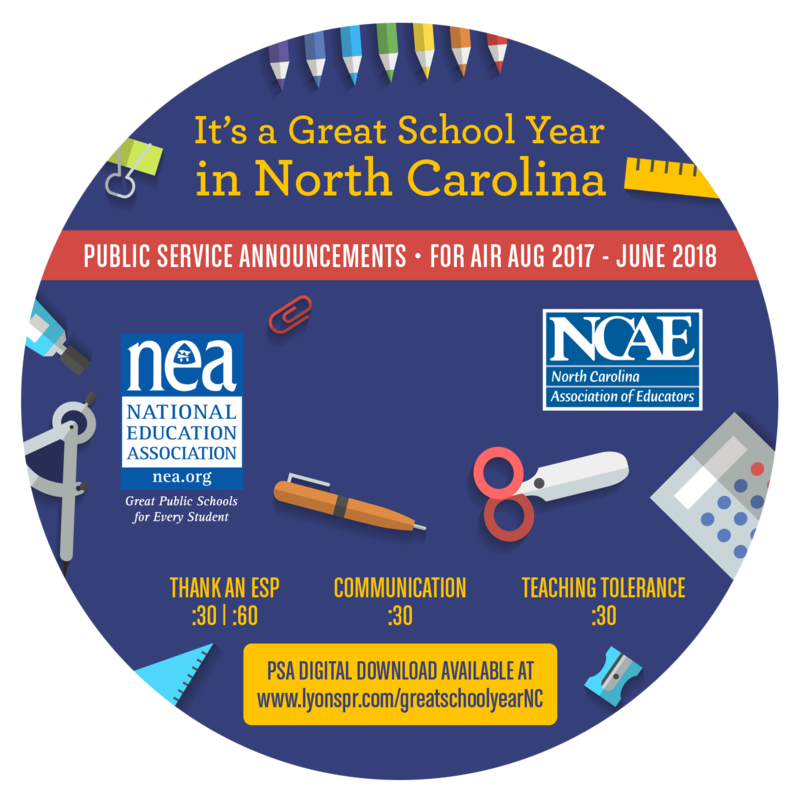 That’s why the North Carolina Association of Educators produced a new PSA campaign for the 2017-2018 school year that encourages open lines of communication with teachers, acknowledging those working to behind the scenes, and creating a respectful environment for all students. School bus drivers ,custodians, cafeteria workers, para-educators, and other school support staff all fuel the engine that keeps schools running and make learning possible. When there’s an open line of communication between parents and educators, students succeed. Diversity is the fabric of our nation. Encourage our students to be accepting of all. 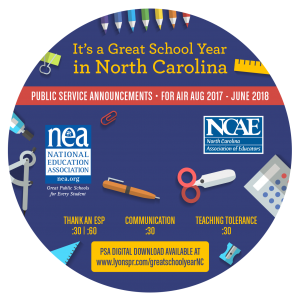 Please help North Carolina students – and parents – by adding these PSAs to your on-air rotation. The messages speak to any audience and are evergreen for airplay throughout the year. We’d also appreciate knowing if you were able to use the PSAs on the air, so please complete this Google Form. Many thanks for your attention and your airtime!